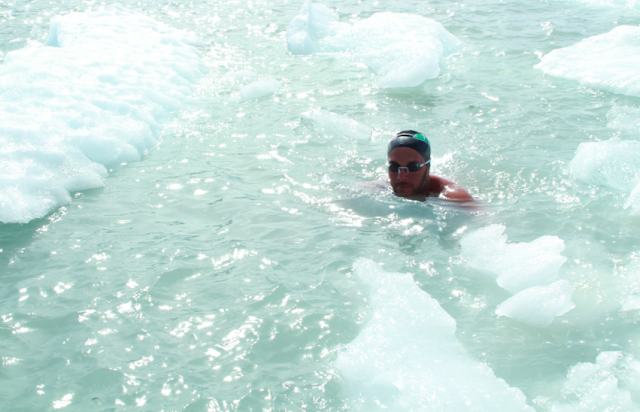 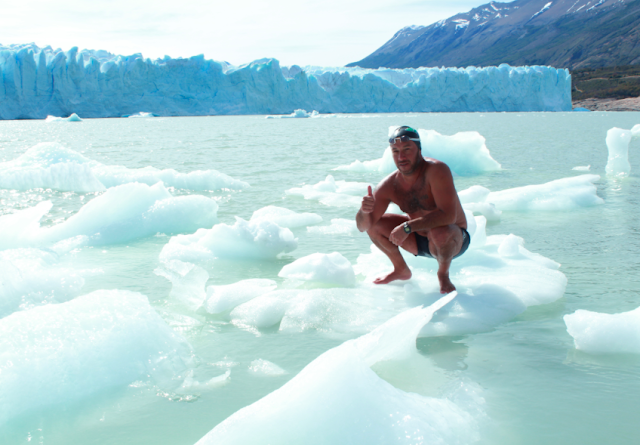 Ruben Gonzales [shown above] from Buenos Aires, Argentina has been swimming in cold water since 2012. 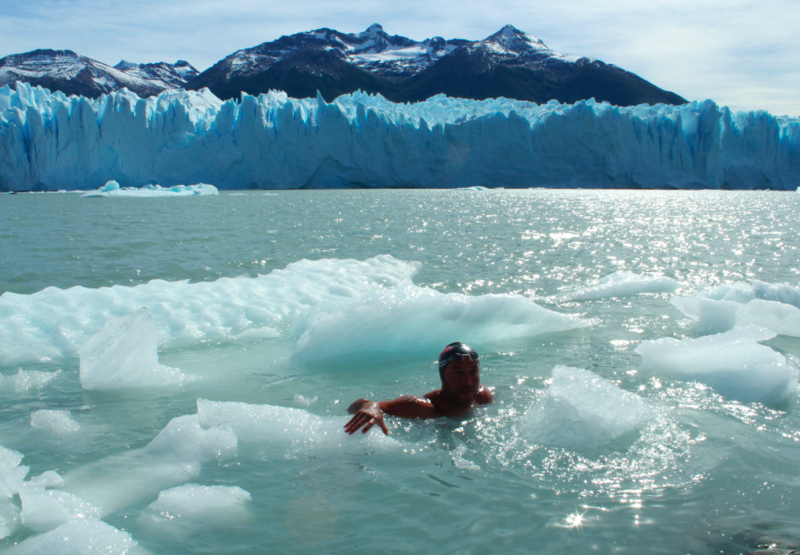 After swimming across the Beagle Channel in 2013 between Argentina and Chile in 8°C, he swam 2.5 km in 7°C water near the Perito Moreno glacier located at the very south of Argentina. Together with British swimmer Jade Perry, he will attempt a 5 km swim in the Islas Malvinas (Falkland Islands) between East Falkland and West Falkland in water estimated to be between 7-9°C with their window beginning on March 10th 2018.